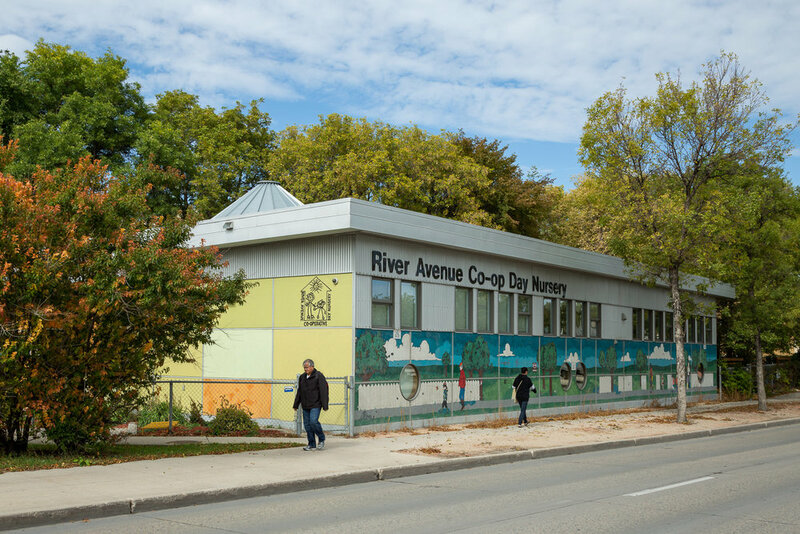 River Ave Daycare | prairie architects inc.
River Avenue Co-op Day Nursery Inc. approached Prairie to design a new facility for the 30-year-old centre. 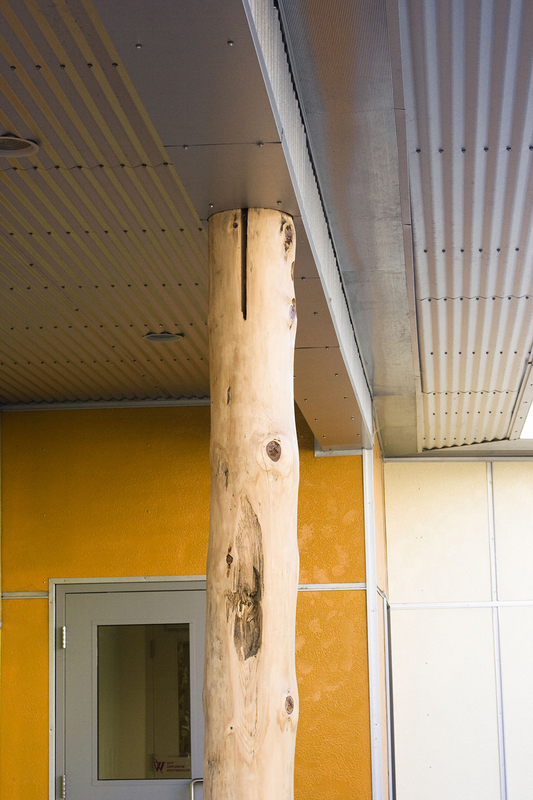 Prairie entered into an extensive collective design process  with the parents, staff and board members of the centre. 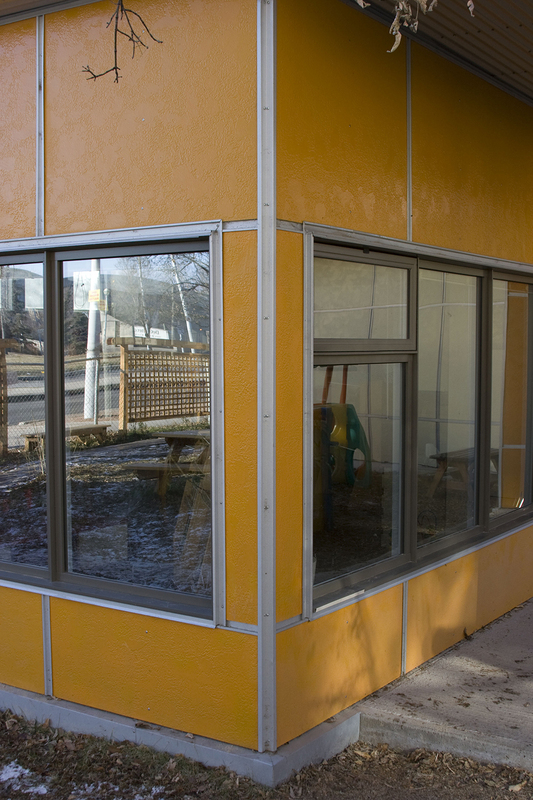 The daycare was interested in an urban sustainable building on a small site near the existing facility. 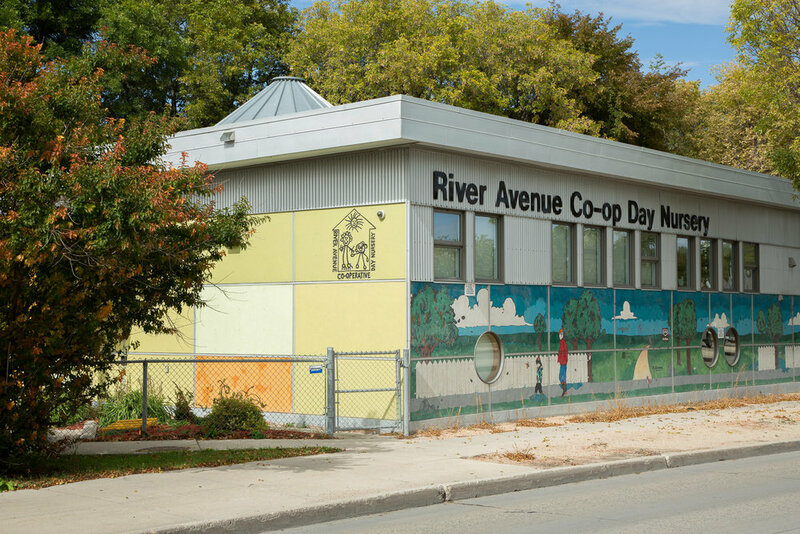 The design team created a series of design options with the client selecting a form reflecting a prairie vernacular with a circular heart / cubbie area framed as a grain bin as the core of the building with large open span activity areas off a central street leading from the main entrance to the play yard. 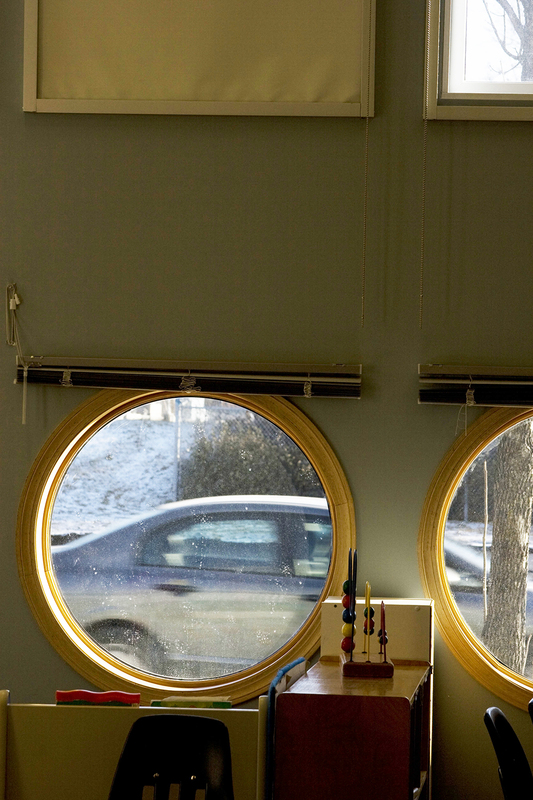 A band of south-facing glazing is located along the commercial busy street at a high elevation for privacy and day lighting. The 4000 s.f. 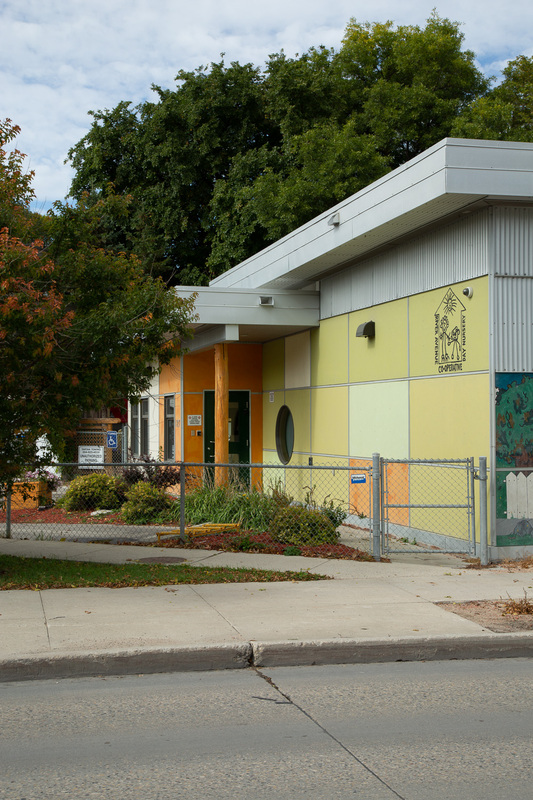 building was designed to LEED Gold standards for 54 toddlers and 8 after-school children. The $1.0 million building opened in September 2008.